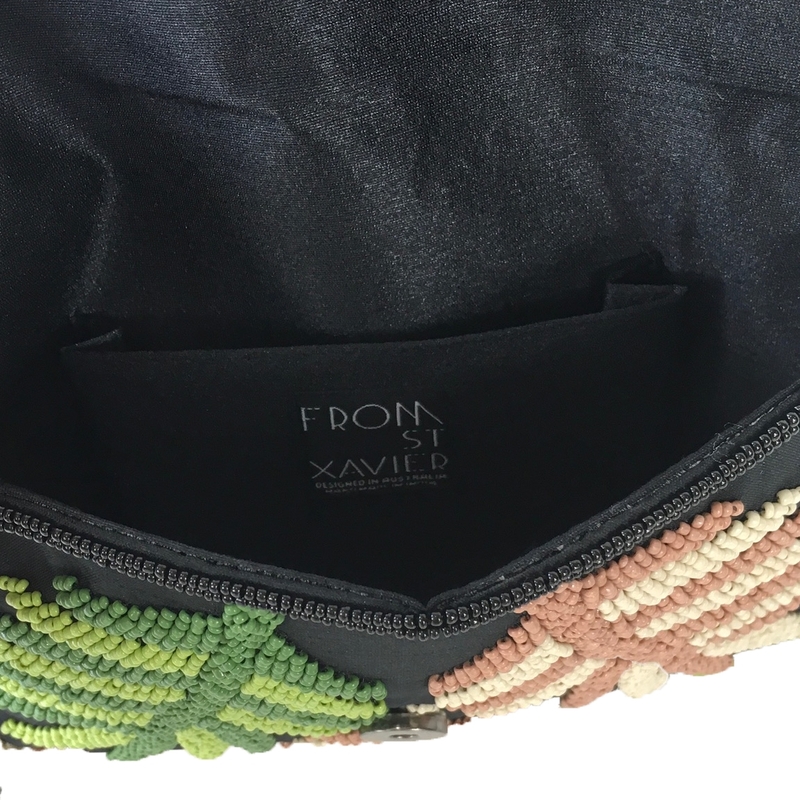 This Palm Springs inspired bag a perfect for warm weather accessory with the bright popping colors and the leaf print. 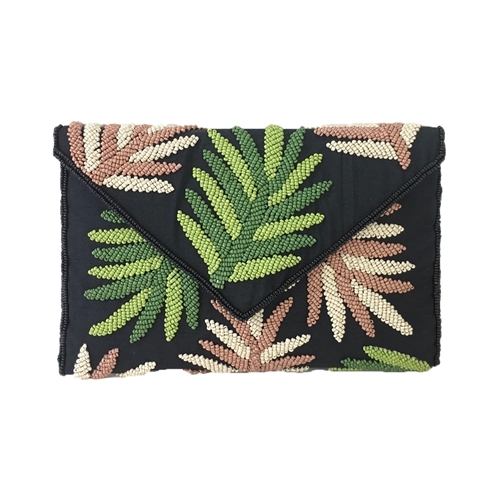 A great day to night bag that goes with almost everything. Hand beaded convertible envelope clutch in fabric with glass beads. 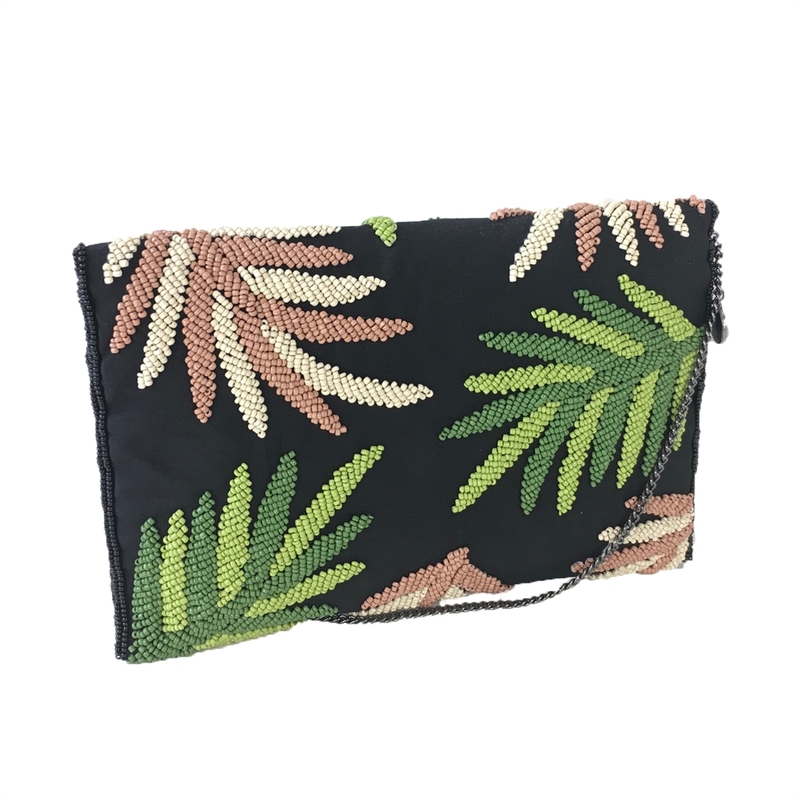 Features beaded palm leaf pattern.